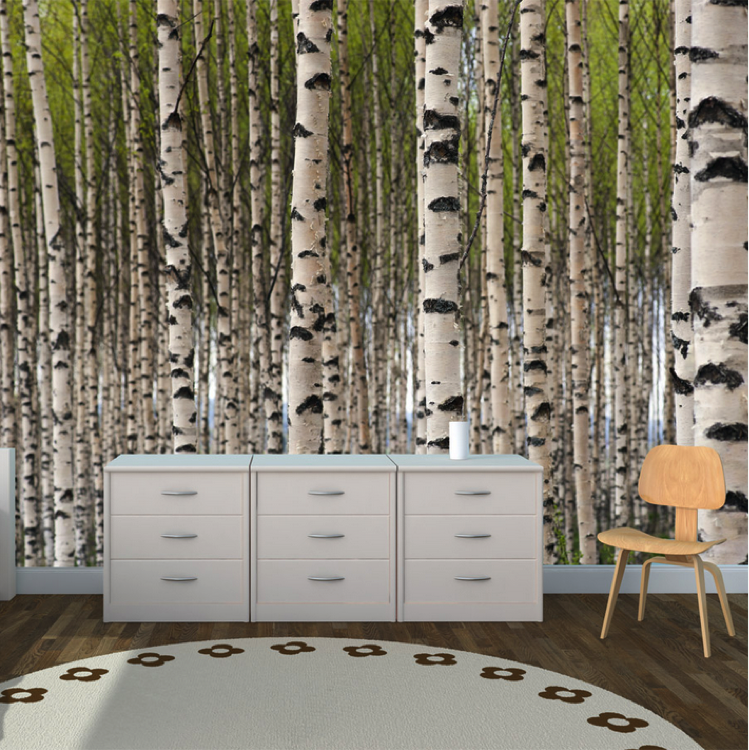 You can decorate your walls with beautiful art without breaking the bank with a fine wall mural like our Forest Wall. This one comes in four sizes, from 100cm x 78cm to a giant 300cm x 235cm, designed to cover a whole wall, like the one shown in this picture. It can make a small room appear larger and more open by providing a grand vista looking out into a light-filled forest. Fantastic for a living room or home office, even a child’s room. Imagine the dreams your son or daughter might have playing in front of a view like this one. We offer a great line of wall murals you can browse through in our Wall Murals category. You have many options to choose from among our murals, and at these prices, you can decorate more than one room. 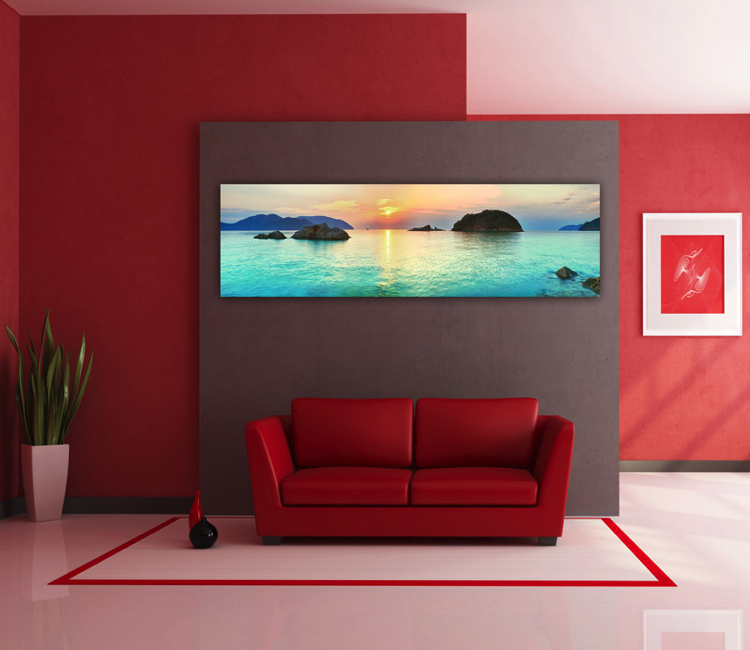 This one, entitled Azure Waters, is a panoramic view of a calm, turquoise ocean with islands in the distance and the setting sun colouring the sky. It’s a fantastic piece of art that your friends may think cost you a bundle, but you can display it at a very reasonable price. This one comes in three sizes, from 90cm x 26cm to a grand 220cm x 63cm. Better still, you can place these murals where ever you like without marring the walls with holes and hangers, so you can give your rental your own touch of class without losing the deposit just as well as you can make your stamp on a home of your own. And, you can easily move it if you decide you’d rather have it somewhere else. It’s as easy to move as it is to apply in the first place. You’ll leave no sticky residue behind. Want to learn more? Please contact us at [email protected] or go to our Contact Us page for more ways to get in touch. This entry was posted in Wall Decals. Bookmark the permalink.